I haven't been out since just before the big temp crash, over two weeks now. By the way, the river was on fire just prior to the drop. No fish in slack water either. 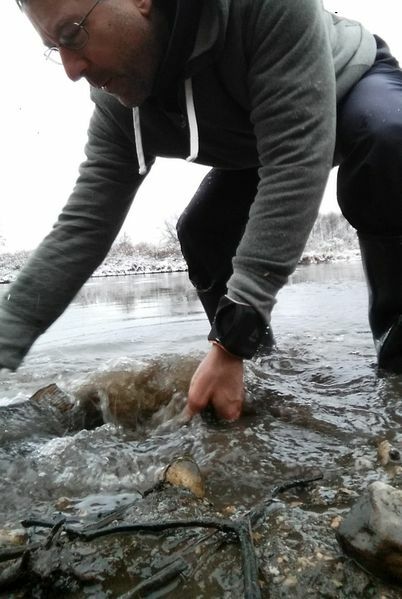 I was heaving my lure as far as I could into the main current and was getting slammed. 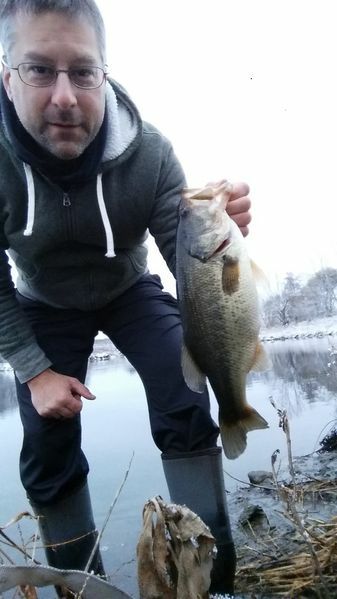 Wasn't sure what to expect this morning since normally you want to stay on the fish this time of year to keep with 'em. 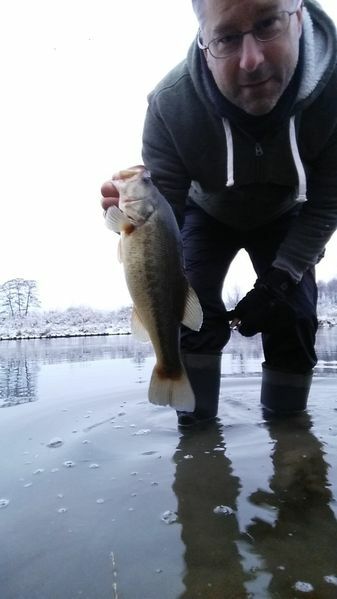 But I've always been a sucker for gratuitous snow fish pics so the conditions were ripe for just that. 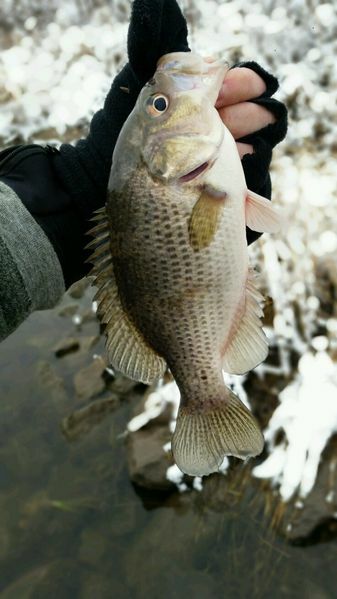 The fish were definitely sitting in deeper, slower water. But still eating the same things. 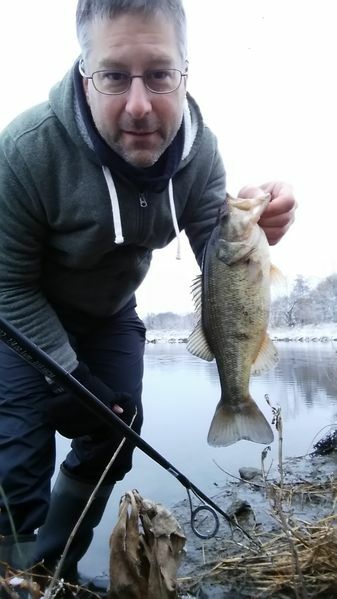 As it turned out there were plenty of bites with the last fish of the day being a doozy. Always kind of liked the pinkish hue that the rockies get in the colder water. It was getting colder-feeling as the morning wore on which is pretty common this time of year because of increasing daytime winds vs early mornings which tend to be calmer. I was just about to pack it in when she hit. Luckily I had just retied. But there was a moment of trepidation as I was fishing with razor-thin 5 lb. braid. I got lucky as the line was clear of her teeth and I managed to lunge at and gill her. But I did noob it up a bit. I've suffered several break offs this season (which I suspected to actually be bite offs). 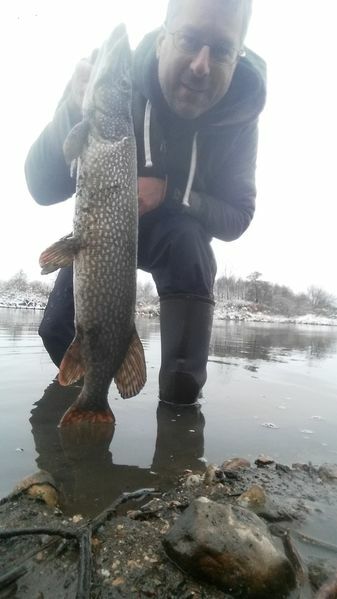 Finally got my first pike in almost tens years fishing this river. Didn't feel I could top that so I released her and strolled back to my car. After all these years, the old Duper will still toss some surprises. Wow, fantastic! Thanks for sharing the pics! Every post from you, jmdog, just tells me what a great fisherman you are. That pike is awesome and the other fish are just as nice in their own way. As I said, I need to get a fly rod in your hands to see what you can do. I thought that the fish would be lying deeper and in slack water to conserve their energy versus having to fight the current. I took Sam for a walk along the riverwalk and thought to myself, as I looked at the river, where the fish should be in this colder weather. Some nice spots. OK so inspired to pickup waders and spend time on the Duper this next year. I have lived near it my whole life and only use to fish it for some fun carp action, but looks like I need to change my game. I am not too far from the Caton Farm road brisge, maybe I will start there. 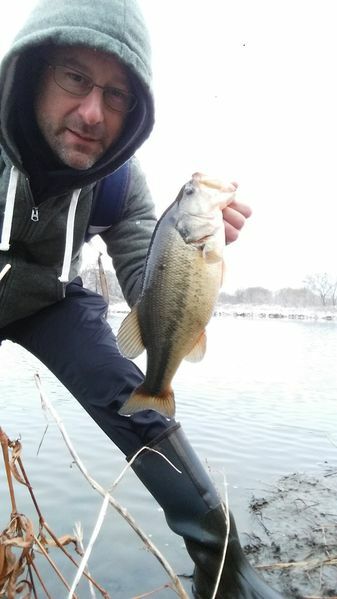 Great fish jmdog, never know what to expect out of the Dupage these last few years. Haven’t been able to fish the Dupage since August, but I’ll be hitting my walleye hole a few times while I’m back on thanksgiving break this week. Only run across a Pike twice in the Duper. First was years ago at the first bend of the east branch up from the confluence in Bolingbrook. Second I saw sunning in a cut of a backwater in Channahon last year, that one was big! Nice catches!! Chitown-Angler was started on February 10, 2003 and has received 207366368 page views in total since that date.